Harpic Flushmatic Pine removes all the germs in each single flush from your toilet bowl and departs a pleasant smell. It is an ideal toilet cleaner which doesn't need much effort and time. All you require to do is insert the Flushmatic Pine in your flush to clean the germs away and obtain a clean environment within your toilet bowl. And now presenting Harpic Flushmatic Pine Clean – an innovation in toilet blocks, it helps clean and remove germs with every flush. Just remove the block from its pack and drop it in the toilet cistern. After that every time you flush, Harpic will not only clean your toilet bowl but it will leave behind a nice pine fragrance. The toilets in our homes should always be clean because that is the one place where most germs breed. 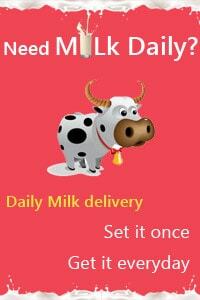 To keep your family safe and disease free, you need to ensure highest hygienic standards. And Harpic Flushmatic Pine Clean is the best product because it has a powerful cleaning capacity that leaves your toilet completely hygienic, germ-free and odourless. It lasts for up to 1000 flushes and is safe for septic tanks. 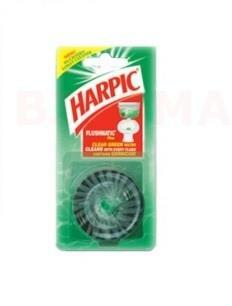 So, buy Harpic Flushmatic online now.